Lesson 44: Most Memorable Films of 2016! 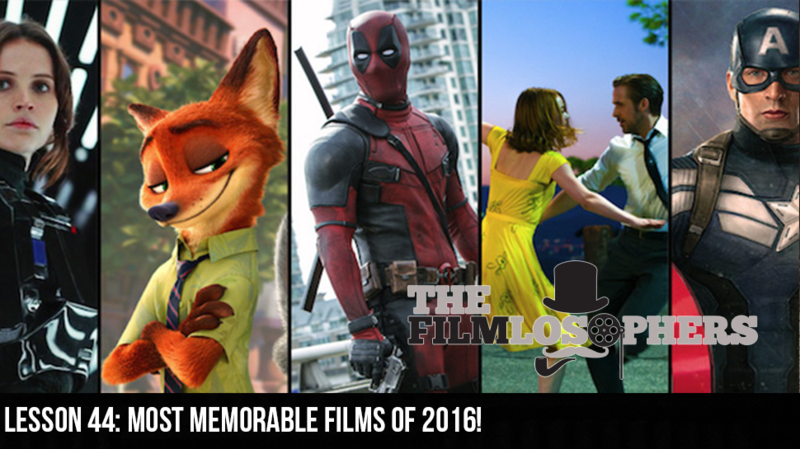 The Filmlosophers, Eddie Villanueva and Chad Riley, spend the first episode of the new year with Nerd Reactor’s Laura Sirikul to take a trip down memory lane and share their most memorable films of 2016. With some of the biggest box office receipts – and some of the biggest flops – on record, which flicks stood out as particularly impressive? Which ones do we wish we could erase from our memories altogether?